Our “Global Offices” blog series features a Q&A each month with one of Exponential’s offices across the world. 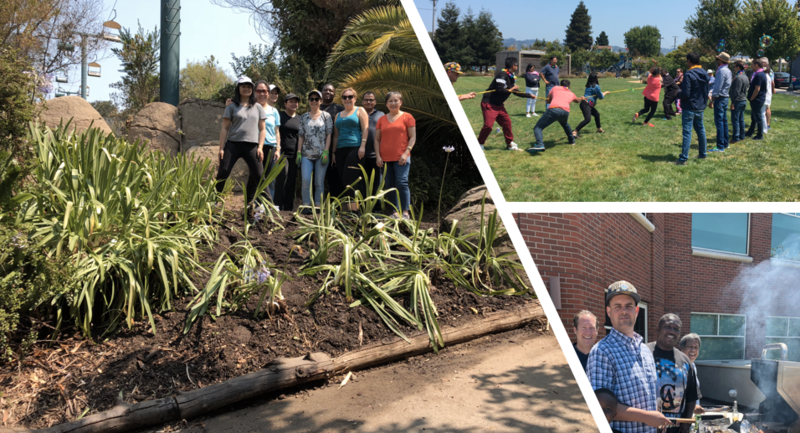 For the month of September, the Emeryville team discusses life in the San Francisco Bay Area and what it’s like to work at Exponential’s headquarters. How long has this office been around & what year did it open? The original Exponential office was housed within an old local newspaper building on Skyline Boulevard in the Oakland hills. It was adjacent to Redwood Regional Park and horse stables. The year was 2001 and the space featured a very low-tech setup – we had to get a high-speed internet line brought up the hill and installed! There were about 10 employees then. We moved to our current Emeryville location on Horton Street in 2015. How many Exponential employees are at this office and which departments are represented? There are 34 employees based in the Emeryville office, representing the departments of IT, Finance, Legal, HR, Engineering, Account Management, Sales, Creative Solutions, and Marketing. A lot of business “behind-the-scenes” action happens here, and the close proximity of departments to each other within the headquarters makes cross collaboration a bit easier! Why do clients love working with the Emeryville office? Clients appreciate the unique creative solutions and great customer service we provide! Having the ability to bring in additional team resources/support to meetings ensures that we have clients’ best interests at hand. Clients also love that our dedicated team of experts are able to set the entire process, from pre-campaign to post-campaign, up for success and produce consistently stellar results. What are some favorite activities the office enjoys doing together? On nice days and during the summers, we like to take advantage of the outdoor balcony space and grill to enjoy a good BBQ. The office has a few amazing grill masters who whip up great burgers, salmon, sausages and more. We’ll also commemorate the seasons or a special event by setting up a cocktail hour with our resident expert mixologist. Our company summer picnic and annual volunteer event are a few other occasions we look forward to! On a more day-to-day level, we enjoy stepping away from our desks at lunch to catch up with each other, taking a ping pong break, or grabbing drinks at one of the local bars around the office (notably The Broken Rack for a game of pool or Branchline for a beer and burger). What does your office love most about the city? Any favorite local spots? Emeryville is conveniently located in between some really great Bay Area cities, including San Francisco, Oakland and Berkeley. 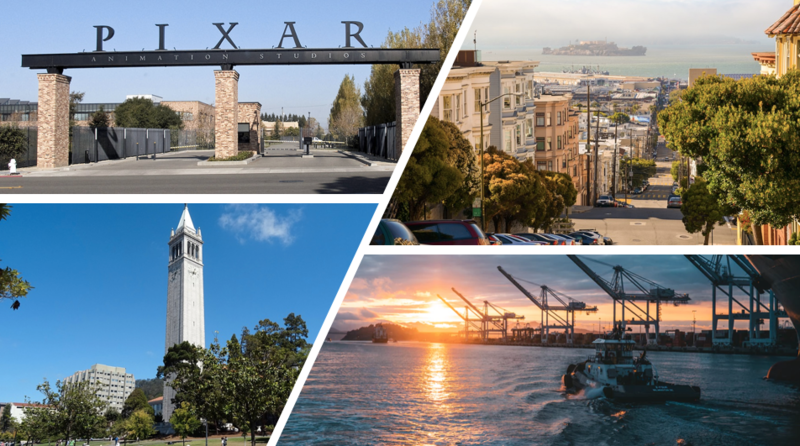 Emeryville is also home to Pixar headquarters, and the city has been featured in films like Cars and Toy Story 3. 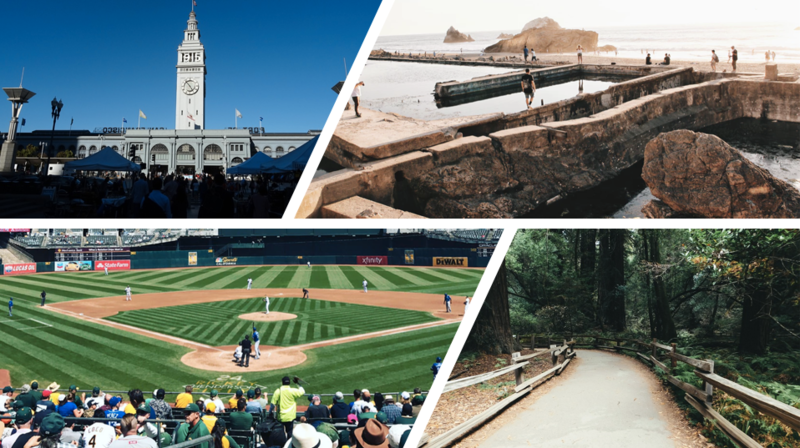 One of the best things about the SF Bay Area is its amazing geographic diversity – you have the bay and ocean, hills, forests, islands, but also the awe-inspiring man-made features like the San Francisco skyline, Bay Bridge and Golden Gate. Within the course of a day, you could visit a museum (SFMOMA, Oakland Museum, and the Academy of Sciences are a few great ones to start with), hike along the Lands End trail or amongst the redwoods at Muir Woods, catch a baseball game at the Oakland Coliseum or AT&T park, relax by the waterfront (Ferry Building or Lake Merritt in Oakland) and then grab dinner and drinks at one the Bay Area’s many renowned eateries (don’t miss La Taqueria in San Francisco, Ippuku in Berkeley, Shan Dong in Oakland, and Hog Island Oyster Co. if you make it further up north!) The access to both nature and the urban experience is unmatched. Thanks for reading! We’ve enjoyed bringing you slices of Expo life from across the globe!